"This is a DELICIOUS smoothie-shot, perfect for a girl's night in." In the container of a blender, combine the creme de cacao and ice cream. 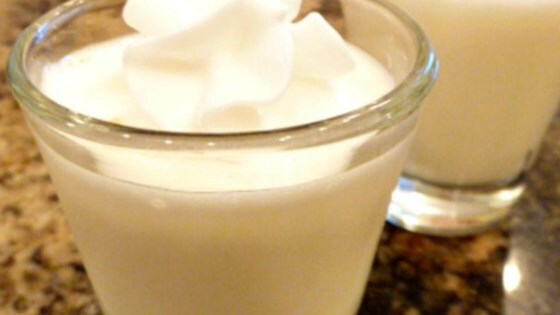 Blend until smooth, then pour into shot glasses and top with whipped cream.